Here’s a great reason for you to dress up like Eleven this year – Netflix’s original horror drama series, “Stranger Things”, is making its way to Universal Studios Singapore for Halloween! The popular TV show will be part of the eighth edition of “Halloween Horror Nights”, to be held from 28 September to 31 October 2018. 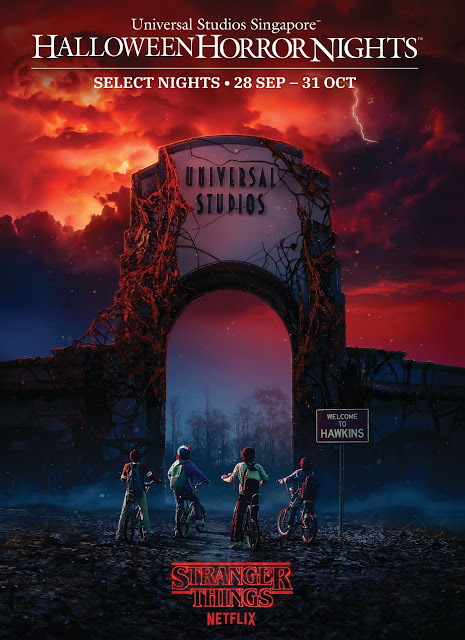 Universal Studios Singapore is collaborating with Netflix for the first time, along with the creators and executive producers of the series, Matt Duffer, Ross Duffer and Shawn Levy, in bringing the horrors of your favourite horror series to life. You will get the chance to visit the mysterious Upside Down as well as meet the predatory Demogorgon, as it stalks guests that are oblivious to its whereabouts. 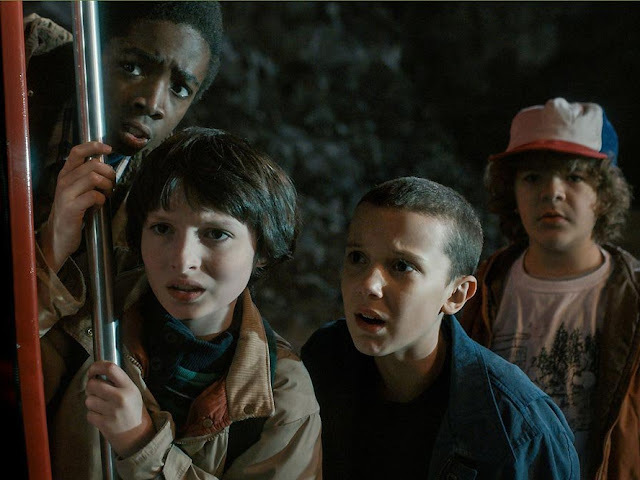 Challenge the all-new mazes that are themed around places such as the Hawkins National Laboratory, the depths of the U.S. Department of Energy, the Byers home and the eerie woods of the Upside Down; all will bring you through iconic scenes and moments from the series. But don’t get too comfy as the mazes are filled with surprises at each turn, there’s something around every corner just waiting to give you the fright of your life. “Stranger Things” will be taking over Universal Studios Singapore. For a limited time, you can grab the admission tickets at SGD50 during non-peak event dates and SGD60 on peak dates. This purchase comes with free exclusive merchandise from “Stranger Things”. The Frequent Fear passes (valid for 17 nights of terror plus weekly value-adds) are priced at SGD108 each and come with exclusive merchandise as well. The Infinite Fear Package costs SGD168 on non-peak event dates and SGD188 during peak dates, which includes an admission ticket, passes to Halloween Horror Nights Express PLUS and Zombie Laser Tag Experience, a SGD5 meal voucher and a SGD5 Hollywood China Arcade Credits. All tickets are available online now via Universal Studios Singapore’s Halloween Horror Nights website.